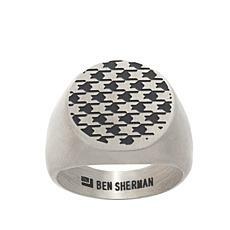 Ben Sherman Men's Hammered Stainless Steel Signet Ring Forged from sturdy stainless steel, Ben Sherman gives this bold ring a personalized update. 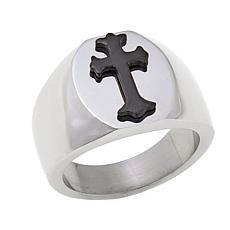 Rugged yet refined, it's the ring he'll wear every day. 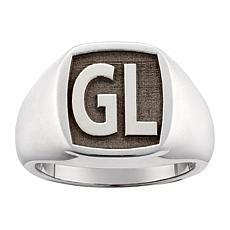 In a time when many were illiterate, the signet ring became a signifier that the wearer could read and sign important documents. 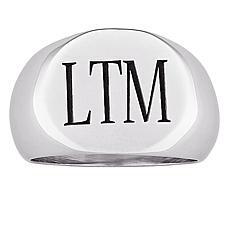 This rare type of ring was only found on the hands of world leaders, rulers, and their officers. 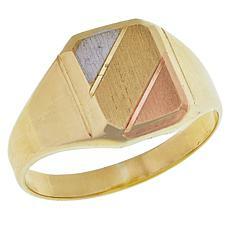 In Ancient Greece and Rome, the signet ring was extremely valuable and even kept under lock and key. 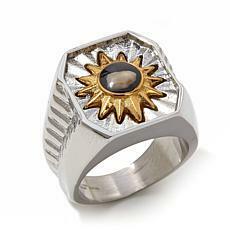 In today's world, the signet ring still represents that elegance, showcasing the wearer's sophisticated grace. 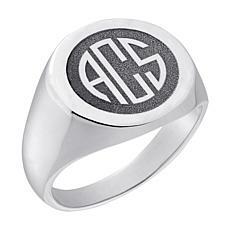 Show off your own style with a signet ring, available at HSN. 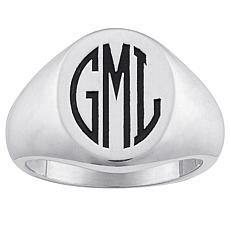 A signet ring includes monogrammed initials or a symbol that represents something important to the person wearing it. 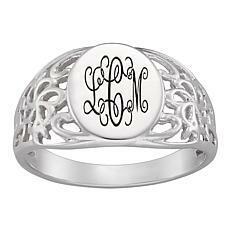 Some of the options at HSN are customizable, so you can add your own initials, while others include an imprinted symbol, such as a cross, a nativity stone, or a unique design. 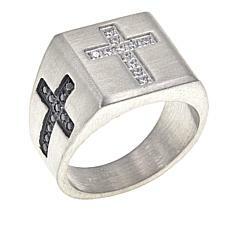 No matter what type of ring you prefer, it's easy to find one that fits comfortably and complements your unique style. 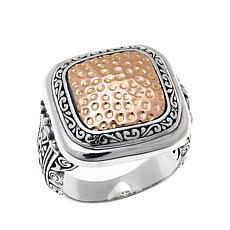 HSN's signet rings are made from high-quality materials, including stainless steel, sterling silver, and up to 18K gold. 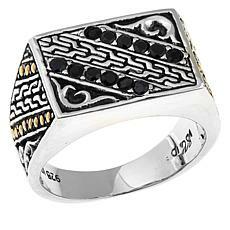 Adorn your finger with a signet ring from HSN to draw on the meaning and symbolism this jewelry piece has represented throughout history.